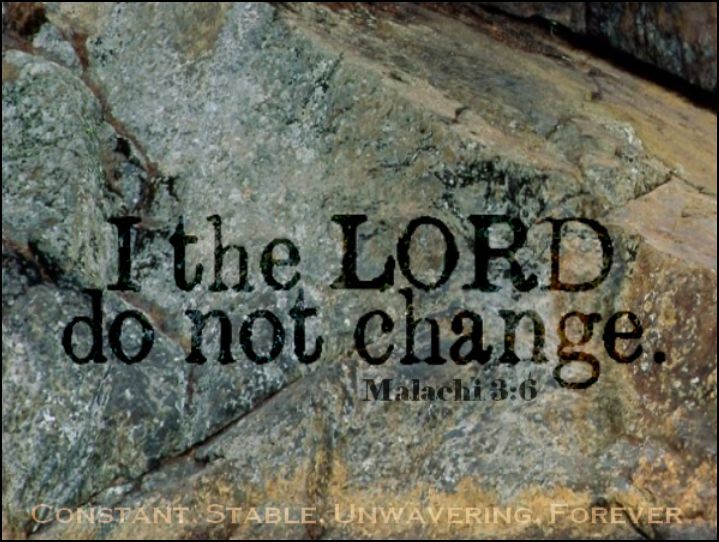 If there’s one thing we can rely on these days in spite of the fact that our world is changing so drastically, it’s the ‘unchanging’ nature of God and the ‘unchanging’ truth of God’s Word –the Bible (though I must add that ‘The Message’ and ‘The Voice’ translations are excluded as being ‘God’s Word’ because of the ‘new age’ terminology and the distortions of Scriptures presented in these versions). Sadly, however, many of us who are true Christians — born of the Spirit of God — are also seeing many of our once strong and committed pastors and teachers beginning to change, as well. And these changes are not for the better! Instead of a pastor focusing on the importance of his role to ‘preach the Word’ of God and to ‘equip the saints’ and trust God to grow the church as He has always been faithful to do in the past, they have been led into falling for worldly strategies of growing the church by non-Christians such as Peter Drucker. Rather than ‘contending for the faith’ they now are not only uniting with some pastors and teachers (who many have serious concerns about) at conferences, but also they are placing some of these ‘pastors’ in their own pulpits! 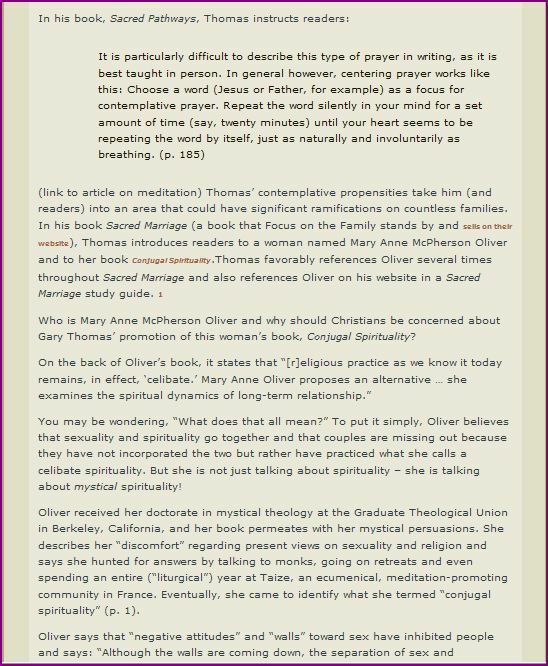 Some are even involving themselves with unbiblical, and even demonic, mystical, spiritual practices such as ‘breath prayers,’ ‘contemplative prayer,’ ‘visualization techniques,’ –occultic practices often cloaked in Christian terminology claiming to allow the ‘Christian’ to ‘hear from God‘ or to ‘connect with God on a deeper, more intimate level.’ (Much more on this in an upcoming post —Lord willing). God’s Word is no longer seen as the way to hear from God…now it’s all about ‘experiences.’ But to those who are not cautious and who fail to continually test things in light of Scripture, these techniques will lure them in and lead them astray. How could it be that so many pastors and teachers are going astray? Is it for the love of money, position, or power? A ‘mid-life crisis’ maybe? What sin is at the root of all these serious changes we are seeing? Is it pride that has caused many of them to close their ears to not only the pleadings of their people to disassociate with certain pastors, but also to the legitimate and serious concerns their people are expressing to them? “How many of you heard the voice of God speak specifically, clearly, directly, and personally, to you? Can you just put a hand up? I’d like you to share it. Can you put a hand up for a minute? “This is the first time I’ve ever been to an IHOP event. Which is..it’s kinda crazy to me because I didn’t know that much, and, you know, so I kinda went on the Internet and started looking things up and, I go ‘man there’s a lot of great things going on here. ‘ And today’s was the first time I ever met Mike Bickle, and, I love that guy. I do. Then there’s Mega-pastors, Steven Furtick of Elevation Church in Charlotte N. Carolina, and Perry Noble of Newspring Church in S. Carolina. Both of whom my former pator, James MacDonald, is deeply involved with. I’ll start with Steven Furtick. 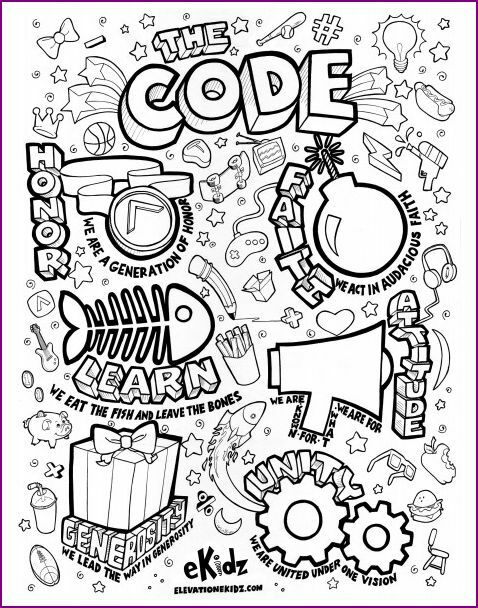 Don’t you find it rather concerning that Jesus isn’t even mentioned in the Kidz Code? Please pray for the children and families at Elevation Church. One can only hope and pray that the children at ‘Elevation‘ are learning that our lives should be built upon Christ and His Word as our solid foundation! (Matthew 7:24-27) (1 Corinthians 3:10,11) Somehow by all this new information, I am finding it very hard to believe, because the focus clearly is more on Steven Furtick and Elevation Church rather than on Jesus Christ and His Word. IN THE VIDEO BELOW, CHRIS ROSEBROUGH DISCUSSES ‘VISION CASTING’ WITH ‘ISSUES, ETC.’S,TODD WILKEN. AT THE 29:10 MARK YOU WILL HEAR THE ‘CREEPY’ CODE FOR STEVEN FURTICK’S, ELEVATION CHURCH, AT 43:10 MINUTE MARK YOU WILL HEAR JAMES MACDONALD SPEAKING TO A GROUP OF PASTORS ABOUT WHAT TO DO WITH THE ‘DIVISIVE’ MAN, AND AT THE 45:45 MINUTE MARK YOU WILL HEAR WHAT MARK DRISCOLL HAS TO SAY CONCERNING THOSE WHO WILL OPPOSE THE ‘VISION’ OF MARS HILL CHURCH. NOTE THE EVIL IN HIS VOICE AS HE SPEAKS. THOUGH I FIND ALL OF THESE CLIPS DISTURBING, MARK DRISCOLL’S CLIP IS THE MOST DISTURBING AND CLEARLY HIS ATTITUDE DOES NOT REFLECT CHRIST AT ALL! I must admit that over the 14 1/2 years that I attended Harvest Bible Chapel Rolling Meadows, Pastor James would frequently have ‘spontaneous baptisms’ as Steven Furtick does at Elevation Church. 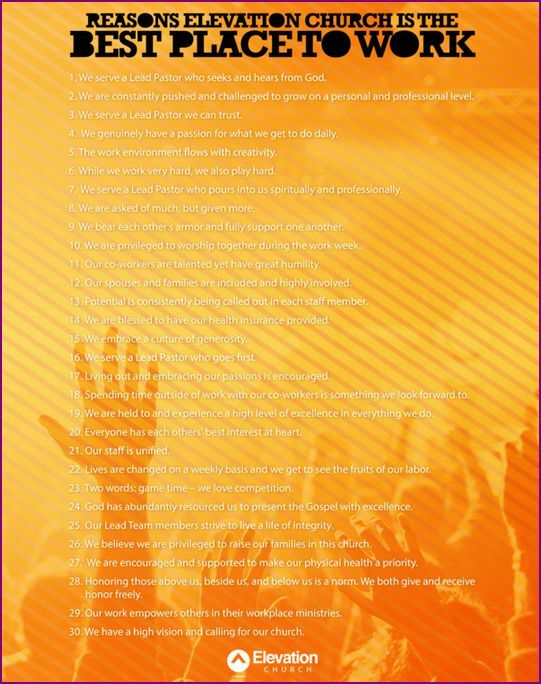 Sadly, it wouldn’t surprise me if the same manipulative tactics that are clearly used at Elevation Church are also used at Harvest Bible Chapel. In case you’re wondering why what Steven Furtick said should be very concerning, and in case you’re not aware of what ‘a time of impartation’ is to many leaders in the Charismatic Movement, please consider watching the following videos I posted below. Briefly I will just say that since 1990 Nicky Gumbel has been the leader of the Alpha Course, and Holy Trinity Brompton Church is known for their promotion of the ‘Toronto Blessing‘ which includes ‘manifestations of animal noises,’ people being ‘slain in the spirit,’people acting ‘drunk in the spirit‘, and many other unbiblical manifestations as you will see in the second video that I posted below. JAMES DUNCAN OF ‘PAJAMA PAGES’ – WHO KNEW YOU NEEDED AN EXCUSE NOT TO PLAY HIGHWAY TO HELL? Yes, Cameron, I am in total agreement! And because of what happen that night concerning T D Jakes — as I explained in detail in my WARNING YOU WITH TEARS post — I did not return to Harvest Bible Chapel, Rolling Meadows — my church of over 14 1/2 years — ever again. And then that particular ‘conversation’ came to an end. These conferences seemed more like ‘Hegelian Dialectic‘ sessions where the goal is to wear down those with opposing views so they conform to the beliefs of the majority. Did you notice how James would have his focus on Scripture, and yet notice how many times “I think” was said instead of them keeping their focus on the truth of God’s Word and the Holiness of God and the reverence that we should have in our times of worship. A shift began to take place where the belief of playing something so horrendous in a church as ‘Highway To Hell‘ was slowly becoming a possibility…at the very end it seemed that James might possibly consider trying to ‘be like them to reach them‘ with maybe a little more time and a little more thought. We cannot be led by our feelings or our own ideas and justify something by simply saying, “We prayed about it.” Our standard to judge what’s right and wrong must always be God’s Word, and we must never lose sight of the fact that God is pure and completely Holy and our worship we give to Him must be nothing less than that; pure and completely holy! Just think of the many who attended ER2 in January 2012 or watched by live stream and walked away that night believing that TD Jakes indeed is a “brother-in-Christ.” Think of those who bought the DVD’s, and those who are not firmly grounded in the truth of God’s Word who may even begin to listen to his sermons and be caught up in his ‘Word of Faith‘ false teachings, which is another serious error in T D Jakes‘ teachings that James and the other pastors chose not to address and confront him on that night. Those of us who are ‘born of the Spirit,’ must be Bereans and examine the Scriptures daily to see if what is being said (and done by those who claim to speak for God) is true,’ (Acts 17:11) so that we will not be deceived. We are not to trust in men but in God alone. Pastors and teachers are to follow Christ and His command to ‘preach the Word,’ and to ‘go and make disciples,’ and not be led astray by following the dictates of their deceitful hearts. Not only have some people lost sight of the Holiness of God, but also many have lost their fear of God. Profanity in the pulpit is a common occurrence in many churches today, when God’s Word clearly says otherwise, concerning the speech and conversations of those who profess to be followers of Christ and leaders in the church, as you can see from some of the Scriptures I posted further down. When friendships with certain people begin to eclipse our ability to discern, and if our acceptance by others slowly becomes more important that our desire to honor and please God, you can be sure that it will be the beginning of a continuous downward spiral. 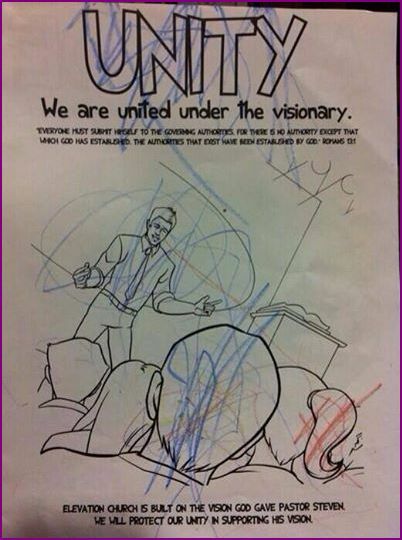 And that is what I believe we are all witnessing concerning James and many pastors and teachers today –compromise for the sake of ‘unity’ and acceptance which not only causes one to harden their heart against the warnings and truth presented in God’s Word, but also hinders them from discerning truth from error. I haven’t yet listened to the actual sermon that James listened to on that particular Sunday, but it was entitled: ‘Three Things That Must Happen For Change To Happen.’ If you’d like, you can go to Newspring Church’s website and listen to it in light of Scripture (Acts 17:11) and come to your own conclusion. If you’d like to listen to a Biblical analysis of one of Perry Noble’s sermons in his series on ‘Change,‘ you can listen to Chris Rosebrough of ‘Fighting For The Faith,’ at the link below. That will give you a glimpse into how Perry Noble misapplies Scripture, and will also leave you wondering why James would publicly tell his followers on Twitter that one of Perry Noble’s sermons is “great.” Maybe that particular one was, but by all the other ones I have heard him ‘preach,’ I am sorry to say that it is highly unlikely that it was. **2-9-14 ** PLEASE READ THESE SCRIPTURES WITH THIS QUESTION IN MIND: DO THE QUALITIES IN SOME OF THESE SCRIPTURES DESCRIBE MY PASTOR? **UPDATE 2-9-14** If you have read all the Scriptures above, then please click HERE, and if your pastor is JAMES MACDONALD OF HARVEST BIBLE CHAPEL ROLLING MEADOWS, please take the next hour or so to listen to his message from the ‘ACT LIKE MEN’ CONFERENCE in its entirety. 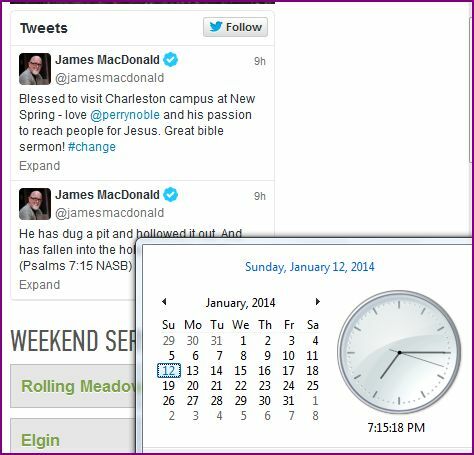 If you have been one of those who have ignored the serious concerns that many of us have tried to warn you about concerning James MacDonald’s character, and how much he has changed, after listening to his message can you now honestly say that his character and speech honors Christ and matches the Biblical description of an elder?If you are a man and you brought your son or a man you were sharing Christ’s love and the gospel with to this conference, would you be proud of the speech of your pastor, or cringe and feel ashamed? Or more importantly, what do you think Jesus thought of his message? Did James truly glorify God with his whole message, or did he compromise in order to please men? Since James has become very good friends with Mark Driscoll — who is sadly referred to by many as “the cussing pastor,” — maybe he has been wrongly influenced by his behavior. However, there is no excuse for James speaking as he did at the ‘Act Like Men‘ conference. He knows full well how our speech and our behavior as a follower of Christ is to reflect Christ and not reflect the behavior of the world. James’ brother is in extremely critical condition after suffering a massive stroke, and I am deeply sorry to hear that and am praying for him, but this issue needs to be dealt with and not ignored! So, former Harvesters, what would it take for you to return? Would you even consider returning? Would you return if James sincerely repented for the reasons that caused you to leave? Are you planning on responding to this letter? I would love to hear your thoughts. Someone who just read the recent HBCRM ‘Elder’s Update‘ informed me of the fact that James has agreed to take a pay cut and made many other commendable ‘lifestyle adjustments.’ But is this enough? True change takes place in the heart when godly sorrow grips a person and they realize the wrong they have done and ask forgiveness from those they have offended and sinned against. Are we seeing these changes take place in the heart and words of James? Only God knows his heart, so we must not judge his intentions, but the evidence of true repentance must be more than superficial changes. The elder update also speaks of “accountability between senior staff and Elder board,“and “the priority of seeking reconciliation in relationships with former church leaders.” All good steps in the right direction, for sure! The ‘elders video,’ incident was bad enough, but what do you think a first time visitor thought if they came to HBCRM on Easter Sunday 2013 when James chose to preach on –money??!! I never would have thought that James would have passed up an opportunity to preach the gospel on such a perfect day as the day we celebrate the Resurrection of our Lord and Savior Jesus Christ! How utterly sad and even possibly blasphemous that he would choose to do such a thing! Truly James has changed! Personally, I would not return even if he had a sincere change of heart and repented and asked forgiveness from all the people he has hurt, although I am still continuing to pray that one day that will indeed happen. Please keep James and his brother in your prayers as I will be doing. It is not my intent to “bash” James— it saddens me to post this, especially knowing his brother is now in such serious condition, but I found this audio from the ‘Act Like Men‘ Conference before I heard about his brother, and had been planning on updating this post with more information since I wrote it on Jan. 23, 2014. My sole intention of adding the audio clip is that I am hoping and praying that God will use it to help those of you who are not only continuing to cling to the idea of “how much James has accomplished in the past,” but also to help those of you who are refusing to listen to the concerns that many have expressed on ‘The Elephant’s Debt,’ (especially on their latest and possibly last post —‘TO EVERY SEASON’ ). It is my prayer that many of you will finally realize — after first reading the Scriptures I posted and then listening to his message — that indeed the character of James does not line up with the godly character traits that an elder must have according to God’s Word, and that all of you will begin to think and pray about what God would have you to do. Scott and Ryan have shed light on many serious concerns regarding the conduct and character of James MacDonald. Many godly men have come forward to give their statements concerning why they have left, and they have shared their personal stories of their experiences with James. It’s time that all of us get our focus on Jesus, and not on any man and his ministry. It’s time to examine the evidence and seek God in prayer for answers and wisdom as to what He would have you all to do. Men, no matter who your pastor is, you are ordained by God to be the spiritual leader for your family. You will have to stand before God one day and give an account for how you have led your wife and your children spiritually, so please make sure you are testing all the messages that your pastor is preaching against the Word of God, (Acts 17:11) and if necessary, find a new church home where the Word of God is accurately preached and the pastor’s character reflects the character of Christ Himself. HBCRM members and attendees, spend time praying for God to change James’ heart, but seek God as to how much longer He would have you wait to see true repentance take place. Or maybe in your time of prayer He will lead you to begin a search to find a new church where the pastor is accountable to godly men who have been appointed as elders by the votes of members of the church, and where the pastor will be faithful to preach God’s Word and will not give in to compromise. Many mega-pastors use worldly marketing strategies and some use feel-good messages that appeal to the desires of their ‘consumers’ to grow their church instead of preaching a gospel of sin and repentance and the glorious good news of the gospel of God’s mercy and grace. Many may leave feeling good and many will probably even come back, but without hearing the truth that we are all sinners on the road to a real eternal lake of fire, their ‘best life’ will be only the good they experience here ‘now’ on this earth, and those who have ‘preached’ a ‘gospel’ that has no power to save will have to stand before God one day and answer for what they have done and failed to do. The blood of their people will be upon their hands. And some pastors go to the other extreme and focus more on the law and make their people feel condemned because of their sins, and they do not share the ‘good news’ of the gospel that if they repent and receive what Jesus did when He not only took upon Himself the detestable sins that we have committed, but also Jesus took upon Himself the full wrath of God that was intended for us because of our sins, and that we can be completely forgiven and clothed in the righteousness of Christ, and our sins will then be as far as the east is from the west, and cast into the depths of the sea. Presently we are seeing more and more pastors and teachers focusing on ‘unity’ and focusing less and less on Biblical truth. Few today are men of God who have remained faithful to preach and to teach God’s Word to their congregations –all because they have not allowed the pressure to conform to the new standards to measure success as a church by, which seems to be,“It’s all about the numbers,” as mega-pastor Steven Furtick has been known to say. More and more these types of pastors continue to lose sight of their mission of preaching the gospel and equipping the saints, and instead seek to build more and more churches which have become their empires destined to crumble if these pastors do not repent and return to Jesus, their first love. The true gospel is about preaching sin and repentance to people to make them see their need for a Savior, and realizing that God alone has the power to convict someone of sin and to lead someone to repentance. To use emotionally manipulating tactics — such as playing music when the pastor is preaching or about to give an altar call, or planting people in the service to come forward so as to motivate others to follow and come forward in an altar call — (as many of us have discovered is being done by seeing the latest news coming out concerning Steven Furtick, Elevation Church, and so-called ‘spontaneous baptisms‘), or to present sermons and music in a worship service that appeals to the sinful nature of men, implies that the good news of the gospel no longer has the power nor is it sufficient any longer to save someone. And nothing could be further from the truth! After reading all the many accounts of the kings of Israel, suddenly I thought of many popular pastors and teachers who no longer serve God wholeheartedly and who began to change and who have given in to compromise. These pastors no longer contend for the faith and no longer protect their sheep from false teachers as they once did. Instead they invite them in to preach from their very own pulpits! On the day they stand before a Holy God who alone knows their hearts and their motives, it won’t matter how many churches they planted, or how many people came forward in an altar call, or how many came forward to be baptized. What will matter is did they really place their trust in Christ. And, if so, were they faithful to preach the gospel without compromise? Were they faithful to earnestly contend for the faith? Were they faithful to preach His Word in season and out of season and teach their people how to rightly divide His Word? Did they bring correction when it was needed? Did they expose error and protect their people lovingly and fervently as a shepherd protects his sheep from wolves whose main intent is to kill and destroy them? Many pastors and teachers — and many ordinary followers of Christ, as well — need to have a fresh realization of the Holiness of God. Because, sadly, many obviously have lost their fear of God, or they would not be doing some of the many things that they are doing these days and claiming that ‘God told them to do it.’ We all need to have our focus on Jesus Christ alone, and seek Him in His Word alone. We also need to pray for our pastors and teachers, and pray for one another that God would fill our hearts with repentance and that we would seek Him wholeheartedly so that we will not change along with the culture of this world that is so obviously in rebellion against a Holy God. As always, God has a remnant of believers who will not give in to compromise and who will continue to earnestly contend for the faith. Will you be one of them? I began writing this poem a few months ago out of concern because of what I see happening in mega-churches in general. However, after listening to a video of a sermon from the weekend of January 4th and 5th 2014 preached by James MacDonald — my former pastor for over 14 1/2 years — and hearing how he enticed the people in his congregation by saying,“The biggest miracle that’s ever happened in the history of Harvest Bible Chapel is happening right now,” and how he went on to say that ‘he couldn’t tell everyone about it yet, but would in a few months,’ and upon learning from an ‘inside source‘ at the very end of December that “the [giving] “envelopes” were on every chair as people entered the auditorium,” and that “…the give stage was set from the beginning,” I was then strongly motivated to finish this poem so that I could warn people of not only the manipulative tactics that some pastors use to lure them in and to keep them there, but also I again realized the need to remind people of the importance of looking to Jesus Christ alone and studying God’s Word so that people would not be deceived by men and lured and captivated by their ‘vision casting’ plans that are presented to them by these pastors. Therefore, the following poem has some verses that are much longer than the verses in most of my other poems because whenever I attempt to express my concerns about serious matters, I find it very difficult to condense my thoughts into short verses. I apologize for how it appears, but I hope the message comes across without the lengthy verses being a distraction to you. 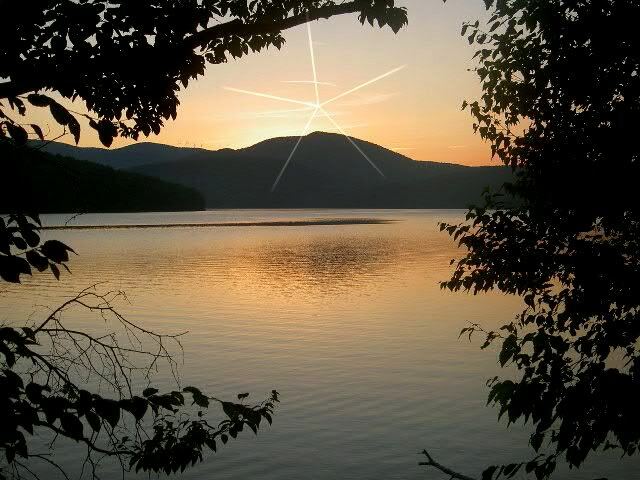 Copyright© 2014 Mary K. Dalke/Living4HisGlory/Living For His Glory All rights reserved. **UPDATED AND COMPLETED WEDNESDAY, 3-5-14** 7:17 P.M.
**UPDATED WEDNESDAY 3-5-14 10:00 A.M.** ADDED ARTICLE ON THE CHURCH GROWTH MOVEMENT BY PAUL PROCTOR. SEE UNDER ‘FURTHER READING.’ DATED IN RED. **UPDATED TUESDAY 3-4-14 6:02 P.M.** ADDED INFORMATION CONCERNING STEVEN FURTICK. SEE UNDER ‘FINAL POINT WHY YOU SHOULD BE CONCERNED ABOUT STEVEN FURTICK,’ DATED IN RED. WILL ADD CLOSING THOUGHTS WITHIN THE NEXT FEW DAYS WHICH WILL FINALLY COMPLETE THIS POST. **UPDATED SATURDAY 3-1-14 3:30 P.M.** ADDED SOME CLOSING THOUGHTS. SEE UNDER ‘IN CLOSING’ AND ‘WHY I WROTE THIS POEM,’ DATED IN RED. ALMOST FINISHED…JUST A LITTLE MORE TO GO. LORD WILLING, SHOULD BE COMPLETED BY EARLY NEXT WEEK. **UPDATED THURSDAY 2-27-14 9:17 p.m.** ADDED MORE INFORMATION CONCERNING JAMES AND PERRY NOBLE (DATED IN RED) JUST NEED TO ADD MY CLOSING COMMENTS, BUT MAY NOT BE ABLE TO FINISH TOMORROW. HAVE AN IMPORTANT FAMILY MATTER TO ATTEND TO THAT CAME UP. LORD WILLING, I WILL COMPLETE THIS POST WITHIN THE NEXT FEW DAYS. THANK YOU FOR STOPPING BY, AND THANK YOU AGAIN FOR YOUR PATIENCE. **UPDATED WEDNESDAY 2-26-14 9:00 p.m.** ADDED ARTICLE ‘THE CULT OF THE VISIONEER’ BY TODD PRUITT UNDER ‘FURTHER READING,’ SOME INFORMATION CONCERNING JAMES MACDONALD, AND AN ARTICLE CONCERNING JAMES BY CAMERON BUETTEL. (DATE IN RED). LORD WILLING, I AM HOPING TO COMPLETE THIS POST BY THE END OF THIS WEEK. THANK YOU AGAIN FOR YOUR PATIENCE. **UPDATED THURSDAY 2-20-14 9:13 P.M.** ADDED MANY LINKS TO INFORMATION ON PERRY NOBLE, PERRY NOBLE VIDEO, ARTICLE BY DR. RANDY WHITE CONCERNING THE ‘CHURCH GROWTH MOVEMENT. (DATED IN RED). **UPDATED WEDNESDAY, 2-19-2014** ADDED INFORMATION ON STEVEN FURTICK AND ELEVATION CHURCH, AND MORE ON FRANCIS CHAN. ALSO ADDED LINK (COLORED IN RED) TO THE ‘ELDER VIDEO.’ ALL INFORMATION DATED AND COLORED IN RED. THANK YOU AGAIN FOR YOUR PATIENCE. ** UPDATE 2-15-14 9:26 P.M.** I WAS HOPING TO FINISH THIS POST BY TODAY, BUT THERE WAS SOMETHING VERY IMPORTANT I NEEDED TO TAKE CARE OF FIRST. LORD WILLING, I HOPE TO FINALLY COMPLETE THIS POST BY WEDNESDAY. ONCE AGAIN, I AM VERY SORRY, AND APPRECIATE YOUR PATIENCE. UPDATE 2-6-14 3:32P.M. ADDED MORE SCRIPTURES** WILL TRY TO COMPLETE POST WHEN TIME ALLOWS…NEED TO CATCH UP ON SOME THINGS FIRST. THANK YOU AGAIN FOR YOUR PATIENCE. UPDATE 1-31-14 11:38A.M. ** FOR THE PAST WEEK I HAVE BEEN GATHERING INFORMATION TO SUPPORT SOME OF THE COMMENTS I WILL BE ADDING TO FINALLY FINISH THIS POST. LORD WILLING, I HOPE TO HAVE EVERYTHING I AM SEARCHING FOR — AND THIS POST COMPLETED — BY EARLY NEXT WEEK –MAYBE SOONER. THANK YOU FOR YOUR PATIENCE.